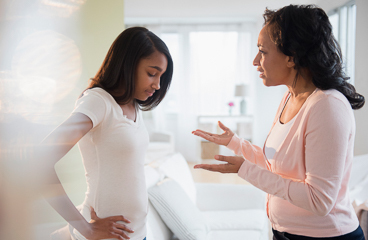 How can you care for your teen at home? Your teen has had treatment to help his or her body rid itself of alcohol. Too much alcohol upsets the body's fluid balance, so your doctor may have given your teen fluids and vitamins. For some people, drinking too much alcohol is a one-time event. For others, it is an ongoing problem. In either case, it is serious and can be life-threatening. The doctor has checked your teen carefully, but problems can develop later. If you notice any problems or new symptoms, get medical treatment right away. Follow-up care is a key part of your teen's treatment and safety. Be sure to make and go to all appointments, and call your doctor or nurse call line if your teen is having problems. It's also a good idea to know your teen's test results and keep a list of the medicines your teen takes. Have your teen take medicines exactly as prescribed. Call your doctor or nurse call line if you think your teen is having a problem with his or her medicine. If your teen has been given medicine to prevent nausea, be sure he or she takes it exactly as prescribed. Know that your teen could have some symptoms of withdrawal in the next few days. These include being shaky or anxious. Have your teen drink plenty of liquids in the next few days. Get help for your teen. Counselling and support groups can help your teen stop using alcohol. Family counselling is also a good idea. Your teen makes threats or attempts to hurt himself or herself. Your teen has symptoms of severe withdrawal, such as seeing things that aren't there (hallucinations), trembling, and sweating. Your teen does not get better as expected. Enter K426 in the search box to learn more about "Alcohol Intoxication in Your Teen: Care Instructions".